At level 30, The Division's endgame officially begins and you'll start earning a new currency called Phoenix Credits (PC). 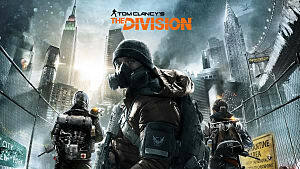 PC, alon with Dark Zone funds, allow your high level agent to purchase the best gear, weapons, mods, DZ keys, and anything else sold at Phoenix Credit vendors. If you're eager to acquire high-end gear without relying on loot drops, you're going to want to earn plenty of PC. Check out our tips and farming methods below to maximize your time and earn Phoenix Credits fast in The Division. The Division's 1.1 "Incursions" free update, scheduled for April 12th, will bring important changes to Phoenix Credits as well as harder missions called "Incursions" designed for four-person teams rocking high-end gear. Learn all about the incoming changes by reading the official patch notes. Phoenix credits are an awesome resource, but they're hard to get your hands on. Sure, you can purchase PC in packs of 30 on the Uplay store, but nobody wants to spend real-money on in-game funds. If you're looking to get that next best piece of high-end gear, follow our methods for earning Phoenix Credits solo or in a team. Phoenix Credits are only available to players at Level 30. 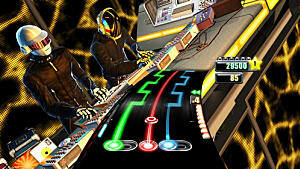 This resource is shared between all three of your playable characters, and caps at 1,000. Phoenix Credits can be earned one of three ways: completing Daily Missions / Challenging missions, defeating Named Bosses, or by unlocking the one-time Phoenix Credits reward on Uplay. 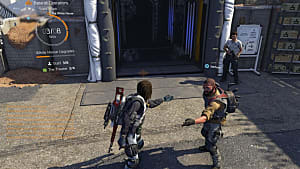 Currently Phoenix Credits can be spent in two locations: the DZ06 Safe House and the Base of Operations' Tech Wing. New gear rotates in daily, so check back often. 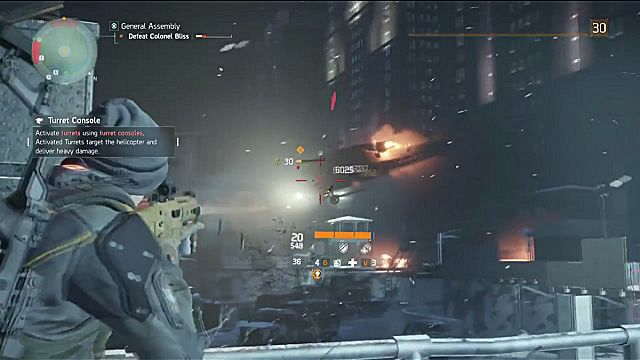 Unlike other resources, Phoenix Credits are not dropped if you die in a Dark Zone. Once you earn Phoenix Credits, they're safe. With the release of the "Incursions" update, it now costs regular funds instead of Phoenix Credits to re-calibrate high-end weapons. Now that you know how Phoenix Credits work, let's dive into all the best ways you can earn them. Dark Zones are currently the best way to earn Phoenix Credits fast. 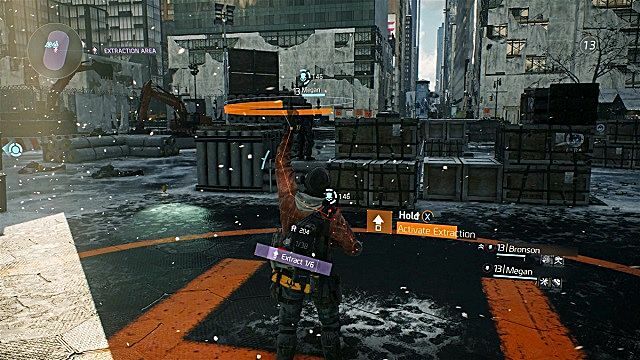 When exploring a Dark Zone, you'll see Landmark zones on the map. These areas are filled with enemies, and always spawn a Named Boss. Defeating Named Bosses earns you Phoenix Credits. 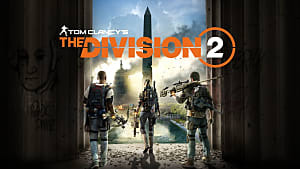 You aren't limited to Dark Zones either, Named Bosses in regular missions, Daily missions or Challenging missions will also reward you with Phoenix Credits, but Dark Zones are where you'll find Named Bosses relatively close together. In the upcoming "Incursion" update, Named Bosses will drop more Phoenix Credits depending on their level. The 1.1 update also changes how high-end loot is dropped. Named Bosses will now always drop high-end loot when defeated. That gives you even more incentive. The best way to hunt Named Bosses is by cycling through landmarks in the DZ. Let's call this the DZ Cycle strategy. As you clear landmarks, the previous landmarks will respawn after only a few minutes, allowing you to cycle back around and defeat the Named Boss all over again ad infinitum. 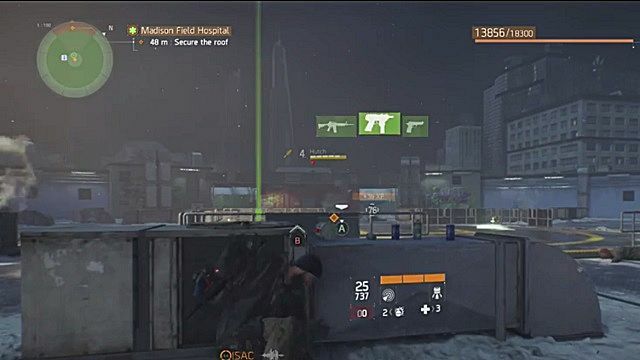 There are multiple cycle routes throughout the DZ, depending on your level. Naturally, the higher level areas will reward Phoenix Credits faster compared to the lower DZ. Start at the southwestern entrance to DZ01. 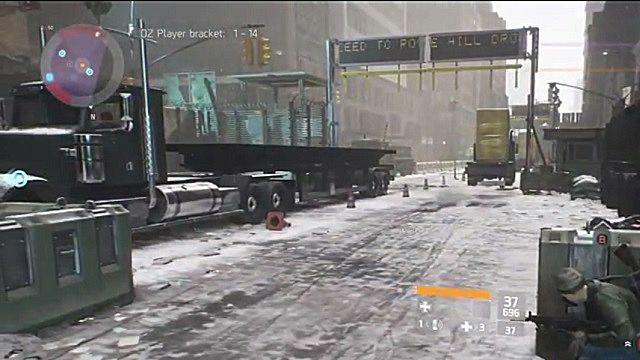 Travel east to the intersection at E 31ST and Madison Avenue to find the first Looter Named Boss. 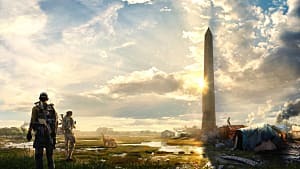 Travel north to the Blockade Landmark on 5th Avenue at the border between DZ01 and DZ02 where a Looter Named Boss spawns. Cross into DZ02 and enter the Construction Site Landmark. A Named Boss spawns in a room at the top. Continue northeast toward the Library Landmark and clear the Named Boss on the streets outside. Run west and enter the Sporting Goods Store Landmark. Use the exterior scaffolding to climb up and clear the area from top to bottom. Attacking from above will make this area much easier to deal with. Continue straight west from the Sporting Goods Store to the Quarantine Zone on the western border of DZ02. Wipe out the Cleaners and their Named Boss. Move south to the underground Subway Station from the Quarantine Zone and clean them all out. This area is directly north of the western DZ01 Extraction Zone. From the Subway, it's just a block over to the Extraction Zone. Send your stuff home on a helicopter and repeat the cycle, travelling south and east to reach the first Named Boss. This advanced cycle is for experienced DZ agents only. Start at the eastern Checkpoint entrance of DZ06. Enter the Rockefeller Center landmark labelled "The Pit" and take down the Named Boss in the northeastern corner of DZ05. Return to DZ06 and travel west to the RCMH landmark on the corner of West 52nd Street and 6th Avenue. Bring the LMB Named Boss down and continue toward the Extraction Zone northwest of this location. Use the Extraction Zone to secure your loot, and continue to the construction site landmark directly east. Wipe out the LMB, claim your Phoenix Credits, and restock at the eastern DZ06 Checkpoint where you started. Repeat as needed. 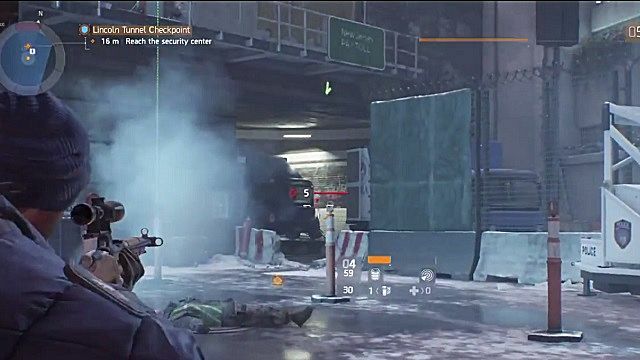 This is the most difficult farming method in The Division, so bring lots of high-end gear and a full team. The DZ Cycle is the most efficient method for Phoenix Credit farming. If you have trustworthy friends and the skills to clear areas quickly, the DZ Cycle is the way to go. Naturally, this is also a great way to gain Dark Zone ranks quickly. 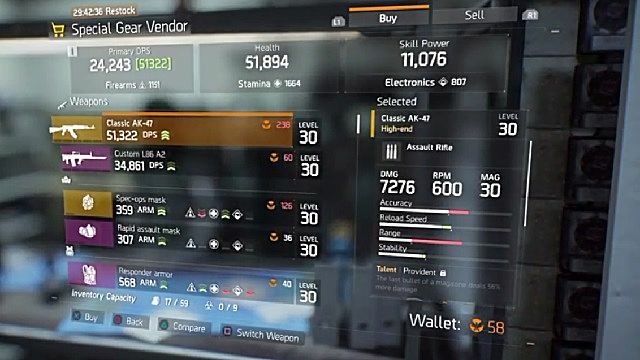 Certain vendors require players to reach max DZ rank before selling their wares, so it can't hurt to hit the cap quick. Whether you're playing solo or in a team, Madison Field Hospital is a good place to farm Phoenix Credits. Using an exploit, it's possible to continuously kill a Named Boss over and over to make racking up Phoenix Credits a breeze. 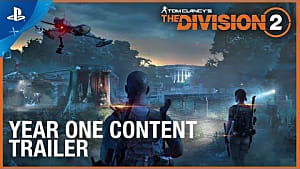 Start the Madison Field Hospital mission either solo or with a team and set the difficulty to "Hard" -- with Named Boss' level set at 30, you'll earn 1-3 Phoenix Credits per kill. Fight to the final encounter on the rooftop. The Named Boss Hutch is on the balcony located behind the helipad. Your goal is to kill Hutch before he drops down from his balcony. Rush past the guards and target Hutch exclusively. If you can't handle all the enemies at once, spend a minute clearing the courtyard -- just don't clear them all. If you kill everyone or get too close to Hutch's location, Hutch will drop down. Kill Hutch and watch the doorway at the back of the arena. An Elite enemy will spawn from the room underneath Hutch's shooting position. Kill this Elite to collect your Phoenix Credits and purple gear drops. Rinse and repeat. If you have the right equipment or a team, this method only takes a minute or two per cycle. This is the best, and only, method available to solo players to farm for Phoenix Credits in the long-term. Make sure you're well-equipped with high-end gear from the DZ before attempting this particular strategy. The most straightforward way to earn Phoenix Credits in your endgame career is by completing Daily or Challenging missions. Daily missions change out every day and reward a set amount of Phoenix Credits on completion. There are three Daily Missions available to complete. Look for white highlighted markers on the tactical map to see which dailies are available. Completing a Challenging mission gives a one-time reward of Phoenix Credits. Unlike dailies, Challenging missions will not renew. If you want more Phoenix Credits out of Dailies or Challenging missions, there is a way; use alternate characters. Phoenix Credits are shared between your three characters. 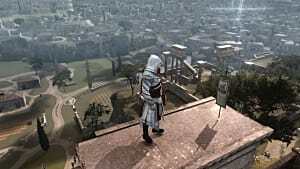 If you have three Level 30 characters, swap over to complete triple the Daily missions or complete Challenging missions three times over. 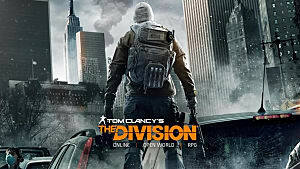 If you're not interested in exploits, don't want to deal with the Dark Zone, or worry about future patches making great methods useless, there's one final strategy you can try. The final mission, General Assembly on Hard, is an easy way to earn Phoenix Credits. With a full team, this mission can be cleared in 25-35 minutes with opportunities to earn 3-6 or more Phoenix Credits. It takes time, but this safe Phoenix Credits method will help you earn plenty of funds, gear, and materials to keep your endgame adventures going indefinitely. 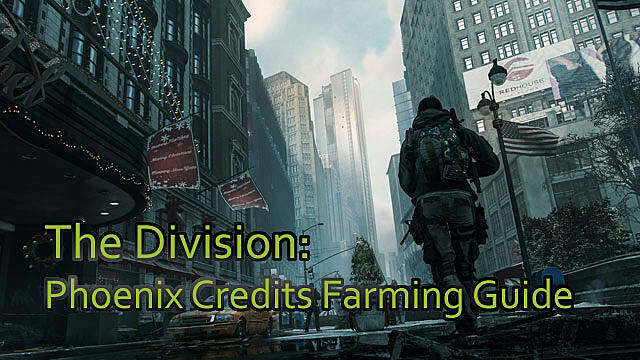 Those are all the methods we know when it comes to farming for Phoenix Credits in The Division. Now it's your turn -- do you know a better way? Have a secret Phoenix Credits method hidden up your sleeve? If you do, please let us know in the comments below!